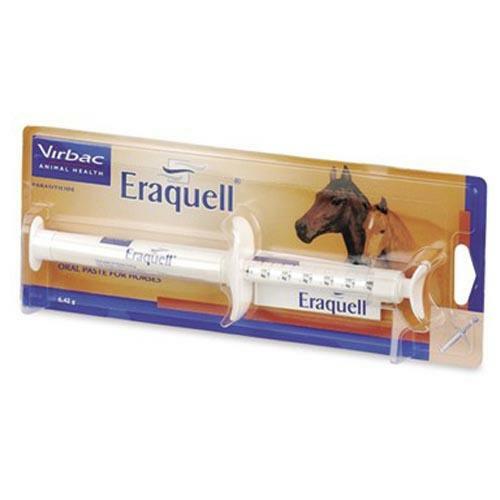 Eraquell Horse Wormer is Ivermectin based. This is one of the safest and most effective Horse worming treaments available. Eraquell Horse wormer destroys and controls immature and adult gastro-intestinal Roundworms, Lungworms, and Bots. It has no effect on Tapeworms. Very easy to use, Eraquell is a simple administer for comprehensive protection. Present one tablet at a time, in the palm of your hand. Repeat this gesture until the complete dose has been administered. During the initial administration, the tablet can be combined with a small amount of food to increase the acceptance by the horse. If the required dose is not ingested by the horse, an alternative treatment should be administered.